Many rival companies that have tremendous competition at times come together to work on a solution which would benefit them not only by sharing the project or the product cost but also by not having to compete with one another. With that said the latest news of the two giants of the automotive industry has joined hands to come up with a solution for their electric car has created a buzz in the automotive sector. 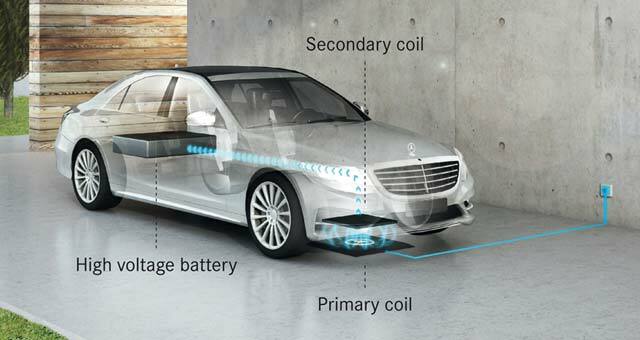 Mercedes-Benz and BMW will be working together to develop the concept of wireless charging for their electric vehicles. If the companies come to a pragmatic solution, it would be considered as a milestone in the development of the electric vehicles. 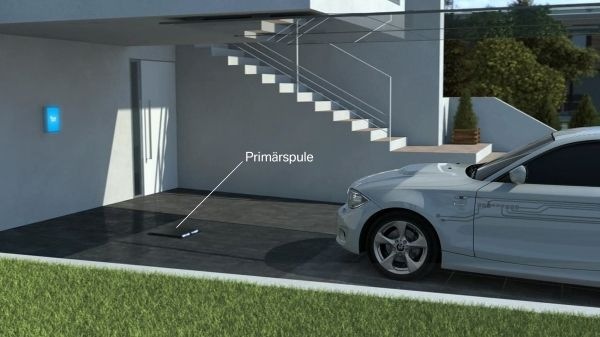 While working together the companies would be developing the wireless charging system on the foundation of three main points and those points will include efficiency, convenience and safety. The most important of which will be the safety. With such high electromagnetic waves generated to induce current in the coil present in the car safety would be first and the foremost parameter while developing such systems. Currents as much as 7kW is generated which then are obstructed by the coil which would be located under the car, thus generating current from the electromagnetic waves for charging. A battery in an i3 electric car can be charged overnight with this system. The electromagnetic radiations could affect a person who has his heart running on a pacemaker, this could generate many health related problems as well. However, BMW says that such problems have been taken care by minimizing the radiation levels, which would only charge the coil and if at all there is any foreign object between the coil like a pet who has crawled under your car for shelter, the sensors do the job to detect them and stop the charging process making it safe. The second point on the developer’s mind is the efficiency of the system. BMW and Mercedes are designing a system that would have less loss and give an overall efficiency of 90 percent. Convenience of the user will be another goal in the process. The driver just has to park the car in the right place and will have to forget about plugging in the chord for charging also the weather will not pose any interference in the system, neither rain nor snow will hamper the working of the system. This German collaboration in developing a better system which would be safe, efficient and convenient to use will surely be considered as a step towards the future of the automobile industry. Only time would tell what will be the outcome when two technologically advanced companies try to bring out a solution for the betterment of our future.